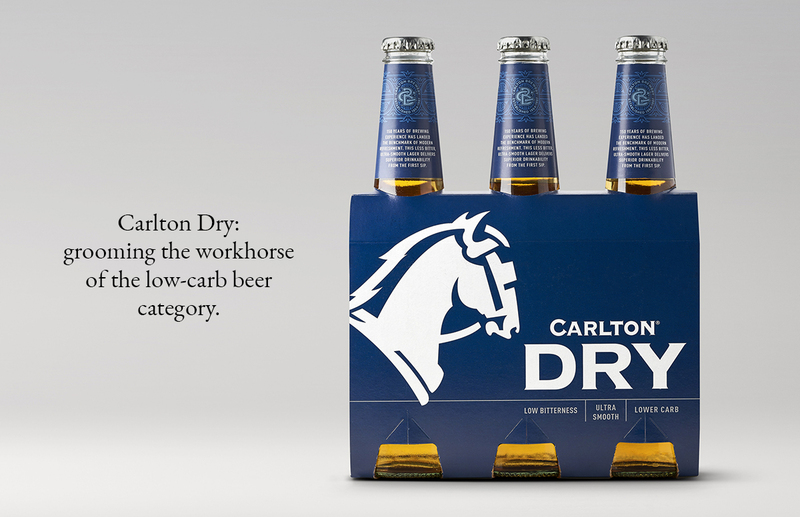 Carlton Dry: grooming the workhorse of the low-carb beer category. 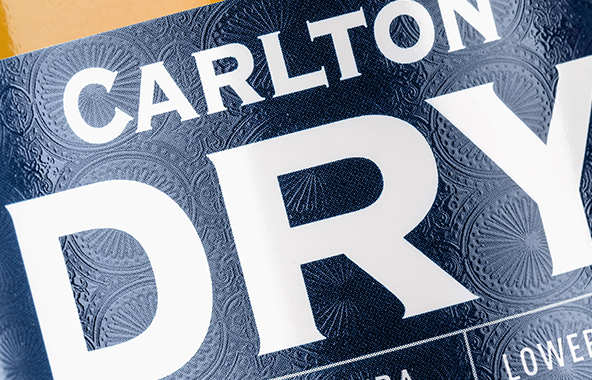 One of the first low-carb beers in the market, Carlton Dry is one of Australia’s largest beer brands. The client felt the packaging needed to be refreshed, however the brand has a loyal following and so any packaging upgrade had to be handled sensitively. 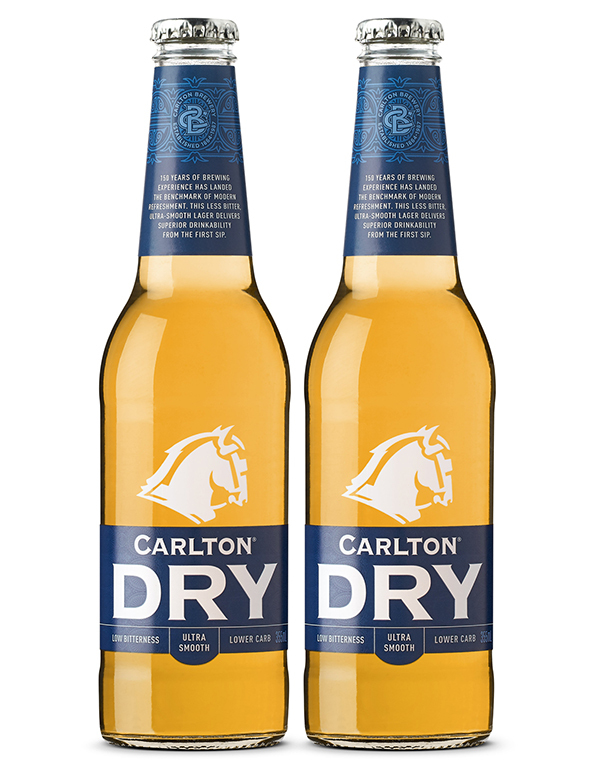 Our brief was to keep the recognisable brand asset of the Carlton Dry horse but introduce some brewing credentials to lift consumer quality perception. We spent a fascinating afternoon in the Carlton archives and found the original brewery monogram as well as some elements that we introduced onto the label as textures and embellishments. 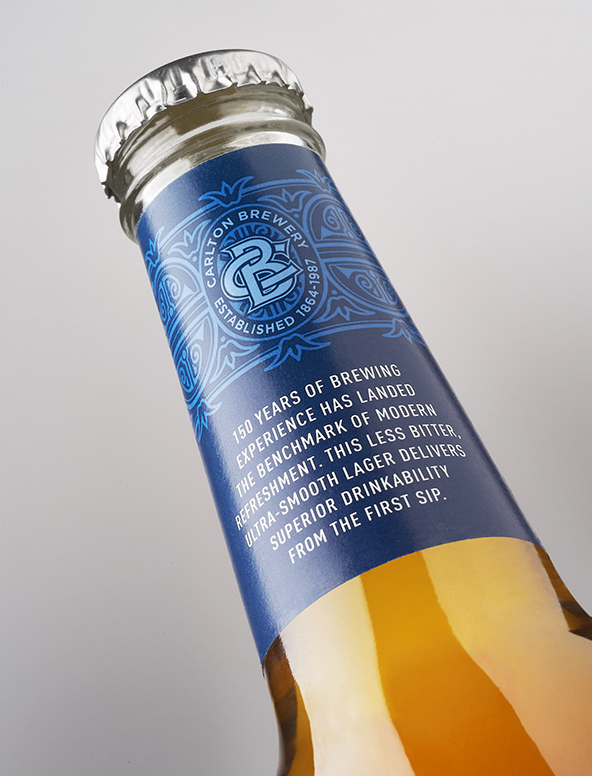 To premiumise the packaging we deepened the brand colour to a smart navy which also complemented the colour of the beer. We also gave a more contemporary look to the can and created a limited edition for music festivals which was a hit with consumers who loved seeing their brand doing something unexpected.